RCT’s latest automation technology has been successfully deployed at the Sunrise Dam Gold Mine in Western Australia. Sunrise Dam is wholly owned by AngloGold Ashanti Australia Ltd, with underground mining operations contracted to Barminco. Barminco’s Sandvik and CAT loader fleets, which were already operating with ControlMaster® Guidance Automation, were fitted with enhancements including Multiple Machine Selection (MMS) and Multiple Machine Control (MMC). This cutting-edge technology gives an operator control of numerous mobile machines from the one station. This project was a first for all parties involved who collaborated to achieve successful delivery. “For example, this allows one operator to tram one machine, while digging with another to make the process more efficient,” said RCT’s Automation and Control Product Manager, Brendon Cullen. These latest automation features are made possible by digitising the mine’s work area with RCT’s Bridge, the company’s own communication network; essential in supporting the latest autonomous features. “RCT Bridge is the stepping stone solution to bring a mine site to full digitisation and is simply integrated into the site’s existing system,” said Cullen. “Whilst we understand our customers are in the process of digitising their mine, RCT Bridge provides a cost effective upgrade path, enabling digital data to be transmitted over the existing analogue network and then integrating with the clients’ backhaul,” he said. In addition to this, RCT’s Area Access Control (AAC) units have also been deployed. This relatively new system acts as an extension of the Automation Control Centre and interfaces between the work areas and machines. “These lightweight, cost-effective and portable solutions are the ideal alternative to installing a cabin on site,” said Cullen. 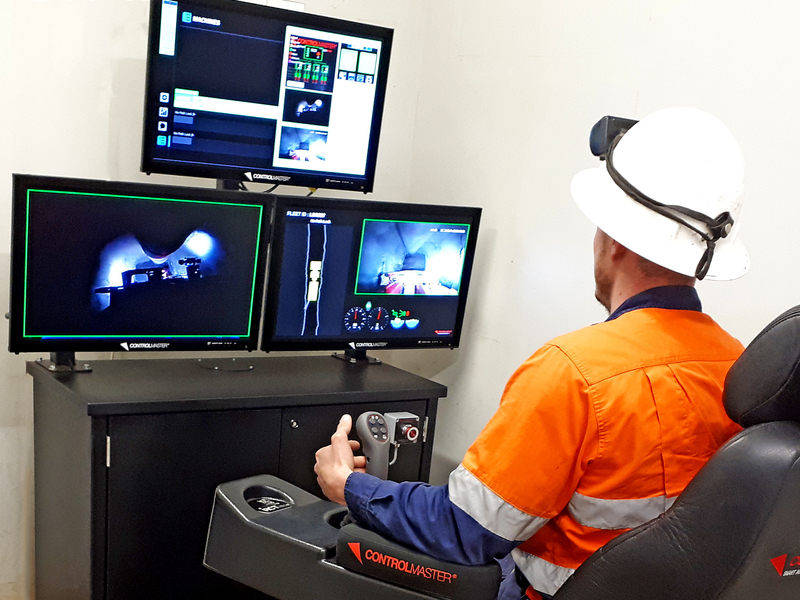 Operators will not only have all these innovative features at their fingertips, but they will also be utilising them from the comfort of an Automation Control Centre on the surface of the mine which has been upgraded with operator ergonomics in mind. These additions are designed to help increase the mine’s overall efficiency and to increase productivity. "This project is a great example of RCT’s interoperability capabilities; highlighting the company’s abilities to integrate with different brands of machines and the site’s information system,” said Cullen. The implementation of RCT’s state-of-the-art features is part of Sunrise Dam’s technology transformation.